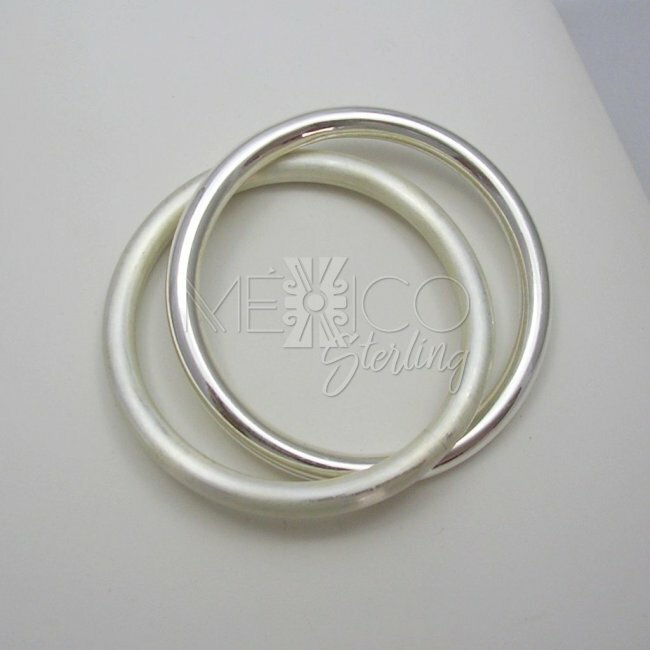 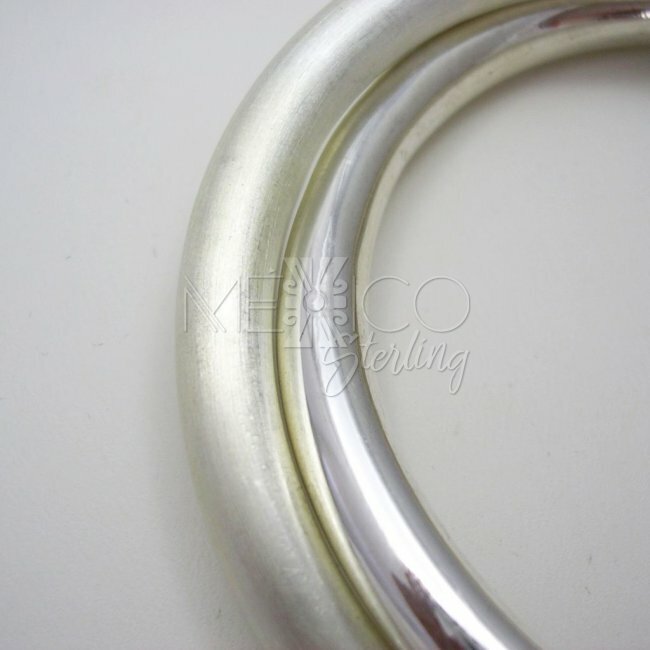 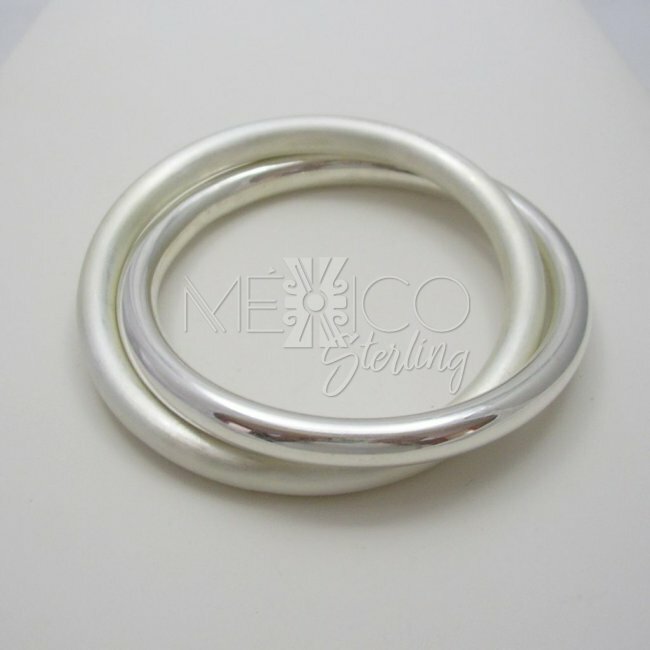 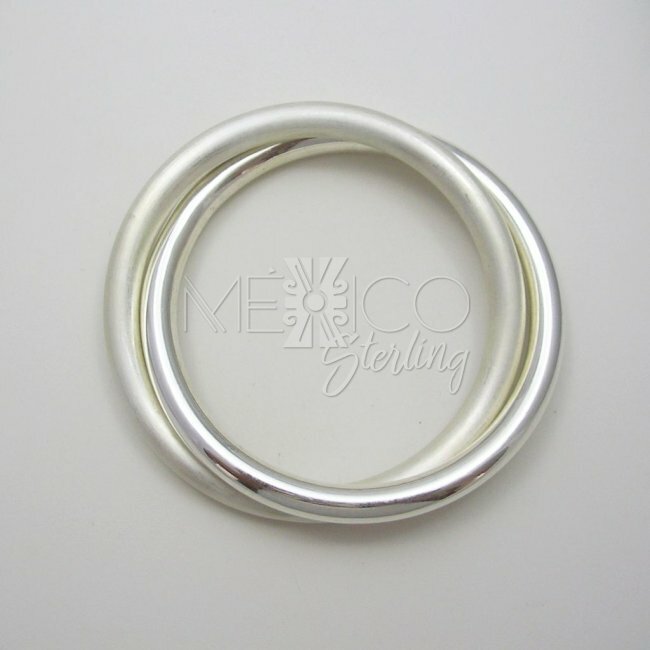 Fashionable Taxco Silver Bangle [BRC4007] - $135.00 : Mexico Sterling Silver Jewelry, Proundly from Mexico to the world. 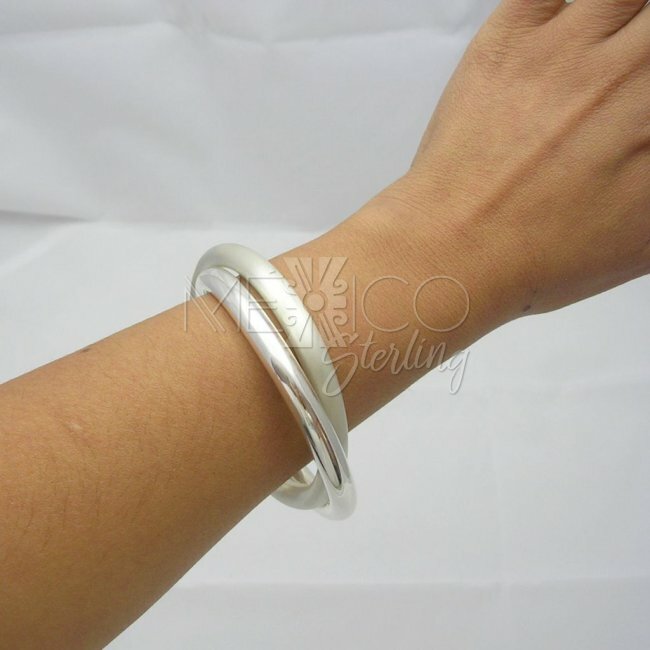 Dimensions: W: 3/8" Inisde Circumference: 8"
This Taxco silver bangle cuff is a wonderful piece of jewelry that looks and sounds so nice. 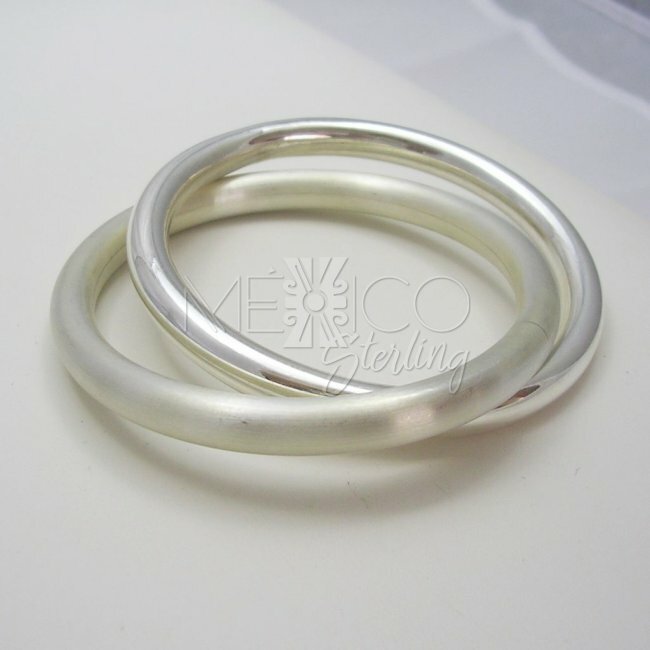 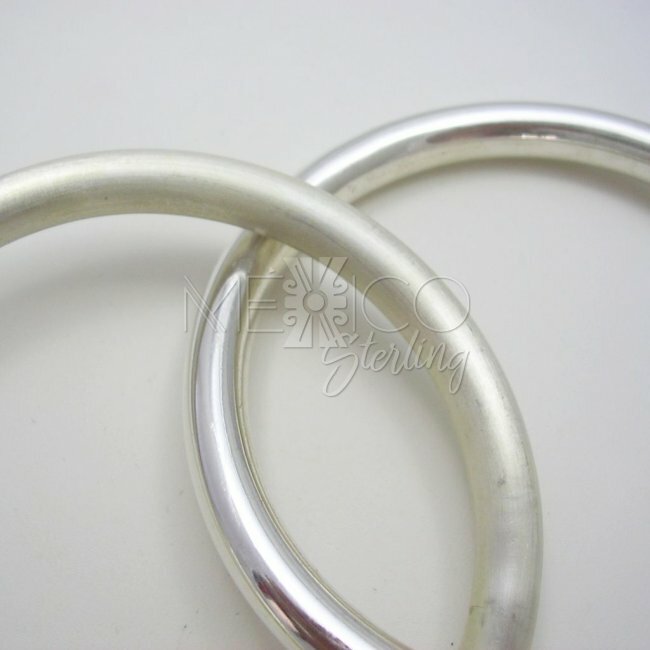 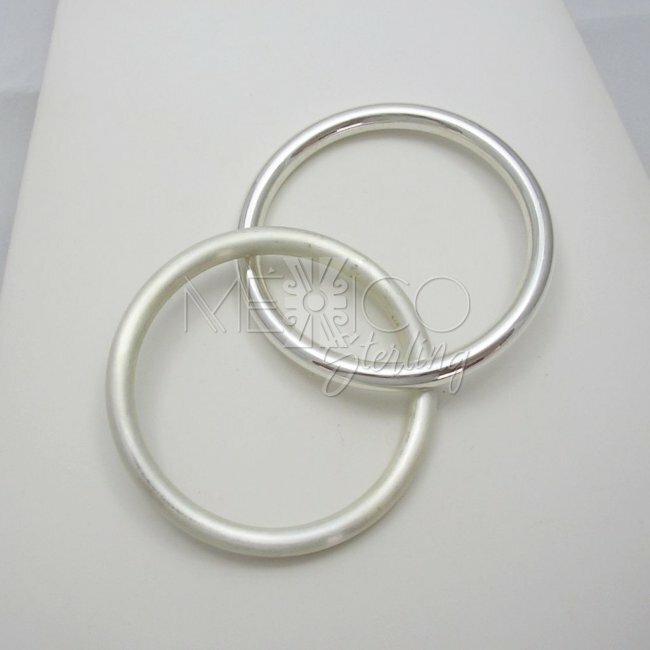 The silver bangles carry a nice contrast between a polished shiny silver and an opaque surface. 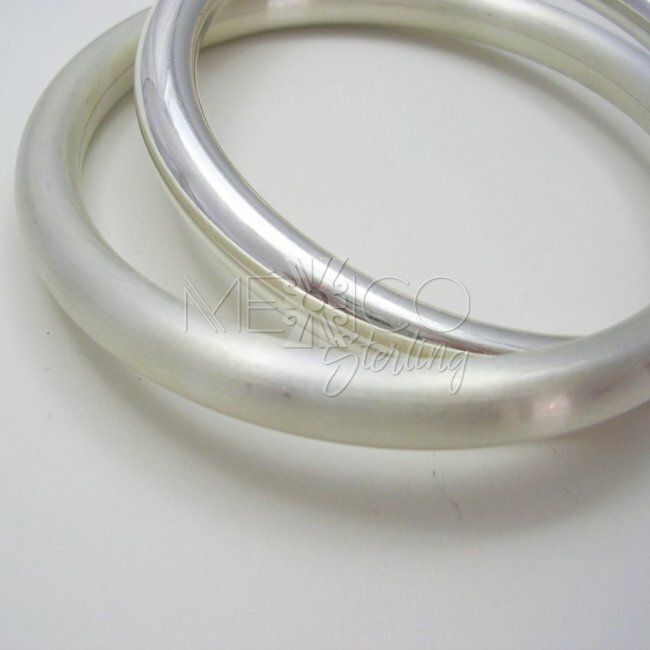 This alone gives the banggles such a fashionable look, but it is also important to point out that these silver pieces are substantial in weight, making them even more attractive for the eyes and ears.